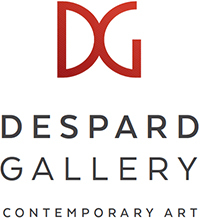 Despard Gallery are pleased to present to Sydney a selection of new and exciting contemporary Tasmanian Art with an exclusive showcase at the inaugural Sydney Fair running from 13th – 16th June at Brian Kennedy Hall. Featuring work from the galleries broad stable of emerging and established artists, this Salon Style exhibition is set to present a snapshot of some of the most vibrant and eclectic work at the forefront of current practice in Tasmanian art. Jenny Orchard, Anne-France Fulgence, Andrea Morucchio and Peter Poulet.